Subvert And Profit: Great Idea or Thorn in the Side of True Internet Marketers? 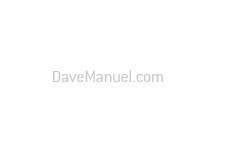 Running Davemanuel.com, I could open up an account at Subvert and Profit as an advertiser, and fund my account with $100. This would enable me to buy 100 diggs. If I received the Diggs over a short period of time, then there is a good chance that my article would be bumped to the front page of Digg, and I would receive an absolute flurry of traffic to the site. If I didn't own a site, I could sign up as a user. I would go to Davemanuel.com, and Digg an article that the site owner has requested I Digg, and receive 50 cents for my efforts. A diabolical idea. The exact type of idea that could bring about the downfall of social networking sites, making them entirely useless. If people aren't legitimately finding articles interesting, and just Digging spam because they are being paid to do it, then that will make the Dugg articles uninteresting and not worth my time to read. I like checking out the front page of Digg because I get to read stories that hundreds of other people found interesting. This will disrupt all of that. 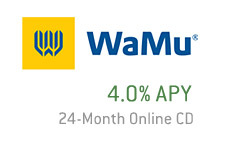 In my opinion, the site will make a lot of money initially (over a couple of weeks.) Then, loyal users of Digg will sign up to the site, get lists of which sites are buying Digg, and these sites will be banned from Digg. There have been similar schemes before, and they have always ended with Digg users infiltrating the sites and exposing the user lists to Digg operators, resulting in mass bannings. I wonder how Subvert and Profit will try to avoid this. All in all, I don't like the idea of this site, though it is clever. I give it a month tops before Digg's loyal users step in and ruin the party.